The M-Plate Mini is the latest member of the M-Plate family. 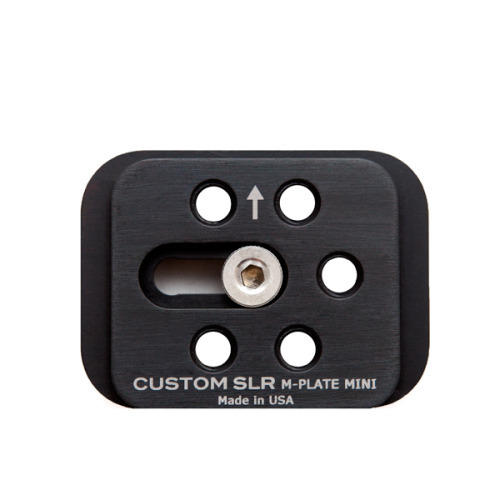 Sharing similar tripod functionality with the popular M-Plate Pro system, we recognized the value that a universal mini release plate could provide to photographers seeking an upgrade to the standard quick-release connectors on the market. Durable and sturdy, yet lightweight, the M-Plate Mini provides a stable and a secure connection between camera and tripod head, making for smooth and easy transition to Arca-Swiss and Manfrotto RC2-style heads.